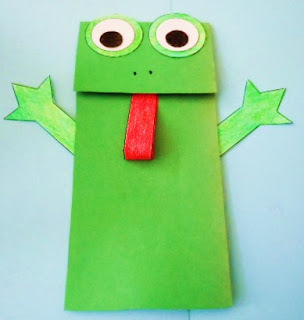 The kids might enjoy making this fun frog paper bag puppet craft project and reading some fun frog books to go along with their study of amphibians. The templates and directions are from DLTK's Crafts for Kids. Have fun learning about frogs! I love his tongue sticking out.